Note: This is a reprint of my review for The Lobster, which originally ran on September 13, 2015 after seeing it at the Toronto Film Festival. I am publishing it again today as it hits theaters this weekend. Most will likely walk out of The Lobster either loving or hating it. It's easy to see why this will be something of a divisive film given it's weird as hell. With all its observational humor conveyed in static, dry tones and cynical quips that paint the internet culture into a real-world society it will surely have its fans. Undoubtedly, there is much to like and appreciate here, but while I laughed several times and found the overall sentiment of the film to be a rather sweet one that is conveyed in a ridiculous yet inventive way I couldn't help but feel that it was trying too hard to be as much when the coolness factor of its unique ideas should have been effortless. The strangeness of the set-up to this world is so out there that it can't help but feel weird solely for the sake of being weird. Weird is fine and all, but The Lobster is pushing it. Some will find this endearing, others will see it as straining and unfortunately by the time the film concluded I was more in the latter category than the former. Writer/director Yorgos Lanthimos, in his English-language debut, certainly has a lot to say with his high-concept comedy, but up until the last half hour or so of the film things are more about the concept than they are the ideas he's attempting to discuss. 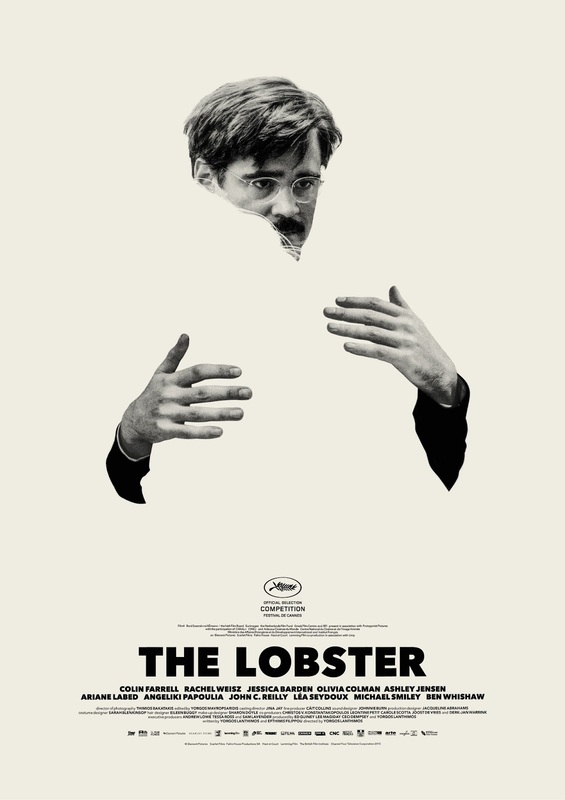 Lanthimos spends so much time trying to make sure his audience will understand this world without blatantly spilling tons of exposition that all of the dialogue in the first hour feels like a sly way of explaining the rules of this world where one checks into a resort to find a mate and if failing to do so in forty-five days, facing the reality of being turned into an animal. So, yes, the film is conceptually striking given it is all a large metaphor for the way in which society tells us our lives are better when lived with a partner, but never does it transcend this gimmick until the moving final shot. David (Colin Farell) meets a limping man (Ben Whishaw) and a man with a lisp (John C. Reilly) upon his arrival at "The Hotel". In what is apparently a dystopian future (though one could only surmise as much from the information provided), single people are taken to "The Hotel" in accordance with the laws of the city where they are obliged to find a matching mate in the aforementioned forty-five days. The hook here is that if they fail to do so they are turned into an animal of their choice and sent off into the woods that surround the hotel. The other large chunk of information essential to understanding this world before going into the film is that the woods are not just populated by animals who were once human beings, but also by what are called "Loners." These loners are people who keep to themselves and live off the land, but oppose the new societal system by never mating with one another. We are first introduced to David (Colin Farell) who shows up at the hotel with his dog (which is actually his brother) and begins the process of meeting a match. 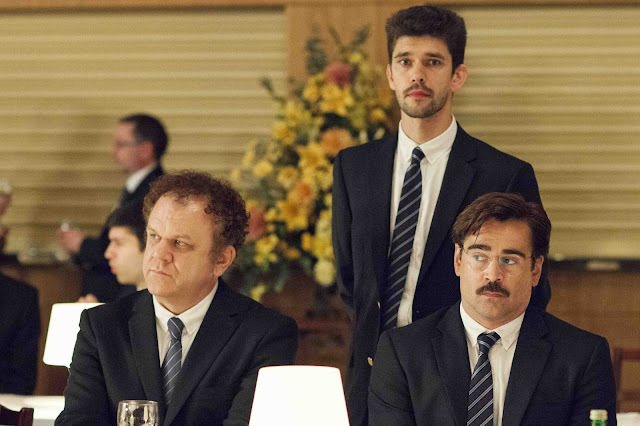 He quickly becomes friends with a man with a limp (Ben Whishaw) and a man with a lisp (John C. Reilly). Whishaw's limping man finds a mate rather suddenly by lying about having severe nosebleeds while Reilly's character has his hand stuck in a toaster for masturbating. Apparently the guests of the hotel are not to pleasure themselves so as to put greater emphasis on finding a partner for them to accomplish such things with. The hotel guests are also taken out rather often to hunt for the loners in the woods. They shoot them with what appear to be tranquilizer darts and if they're lucky enough to tag a few they get days added on to their stay to allow them more time and opportunity to find that necessary mate. It is the struggle of David to not conform, but to escape and find love on his own terms that pits the man against the system and more than seeing this absurd concept play out it is the performance from Farrell that is what makes this an endeavor worth undertaking. When we meet David he seems to be a man of little aspiration with even fewer social skills. He is a man we peg as unlikely to succeed the moment we understand the circumstances of the situation and yet he somehow manages to be the most level-headed character in the entire film. Farrell guides us through this strange world with an unassuming manner and a pot belly that does everything but make him stand out to those around him. He doesn't seem to care to talk to people or get to know them and has already decided that he would like to be a lobster if his last day comes and he's found no one else to be with. His justifications for this choice are plenty and rather convincing, but the real point of this exercise is so that these "unfortunate souls" might have a second chance at becoming a companion as an animal. As the reality of being turned into an animal (which is done through a procedure, in case you were wondering) draws closer and closer David finds it harder and harder to accept and thus he begins posing as an emotionless and heartless being so that a fellow guest (Angeliki Papoulia) might find him a suitable match. When this doesn't go as planned David escapes to the woods to become a loner where he meets the loner leader (Léa Seydoux) as well as a short sighted woman like himself who he begins to actually fall for played by Rachel Weisz. David finds what he's been searching for in a short sighted woman (Rachel Weisz). As one watches the film there will be an abundance of questions pop up before the full extent of this society's requirements are laid out. We wonder who these people are and what might have happened in their lives for them to want to come to such a place. Why are most of these folks blunt and straight-faced every time they speak? What are the loners? Where did they come from? Where do the children that are assigned to struggling new couples come from? They consistently roll in as the film moves along-a new questions for every answer that is provided. This certainly keeps the interest high and the intrigue available, but again it is more for reasons of curiosity in this strange idea than it is for the biting satire that is supposedly being conveyed. 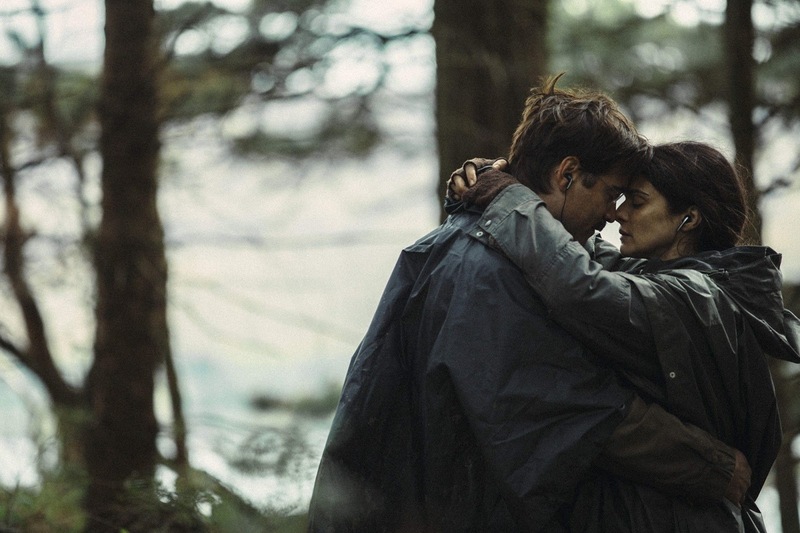 The film is especially gorgeous to look at and this is especially true of the last half of the film when David enters the woods and the relationship between he and Weisz's character heats up. This is also when the more vital questions come up. What is true love actually made up of? What is it worth? What does compatibility truly mean and how much should one sacrifice to be with someone else? If there is enough love in a relationship to sacrifice at all there is likely something genuine at play, but The Lobster wants to be sure we understand fully the commitment we're making just in case any of us feel the pressure of our love-happy society to settle down in the suburbs with a wife or husband in order to live for nothing more than pro-creating. Got it? Lanthimos sure hopes so.